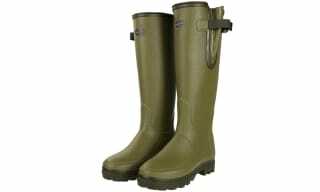 Explore our diverse range of stylish and functional wellies for both men and women. For the outdoor fanatic, the lover of luxury comfort and the fashion conscious; wellies have paved the wave to be the must have fashion accessory and rugged terrain conqueror - we have an impressive range of wellington boots that are sure to satisfy your every need. Whether in search of something for the summer festivals or eager for protection against the harsh winter elements; as stockists of authentic Barbour and Hunter products you can rest assured that if its quality and style you are after, we’ve got it right here. 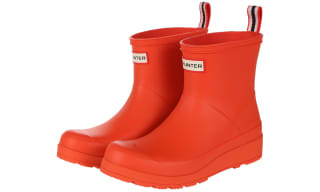 The most successful fusion of form and function, our wellington boots are easy to wear, convenient to keep clean and ultimately stylish - with contemporary designs now paving the way for fashion conscious festival-goers and those wanting a little extra colour or contour on their daily walks with the dog. Whether working outdoors, travelling or taking in the fun and games of the biggest festivals around; wellingtons are a must have and thankfully, here at Outdoor and Country we have a collection that easily outdoes the rest. From the legendary Barbour wellies to the world renowned Hunter wellies; our wellington boots are adored by millions for their quality, comfort and style. 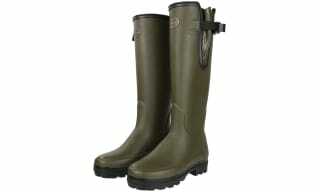 Encourage a perfect fit with our desirable range of adjustable wellies; the fantastic choice for comfort and ease. We boast an incredible selection on offer, from Barbour to Hunter...Le Chameau to Aigle; we have quality, adjustable wellies available in a range of colours and styles that will suit anyone from the fussy to the fashion conscious. Top brands lead the way and with additional comfort now a must; our adjustable wellies are the perfect addition to any wardrobe, finished with an abundance of features to find that perfect wear. Think adjustable side and back straps and buckles, elasticated calf panels, and wider set proportions. The beauty of these designs is that you can adjust to your preference; keep them snug and fit or allow room for your cosiest welly socks when the temperatures drop for both a practical and stylish touch. 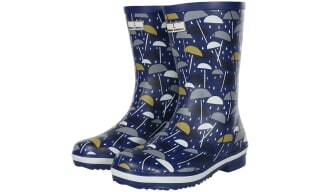 Stay dry and look fabulous this season with our collection of ankle wellies. 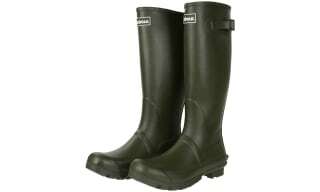 These smart and practical ankle length wellington boots offer subtle rain protection for light showers, and are great for dog walking, gardening and day-to-day wear when the rain clouds move in! 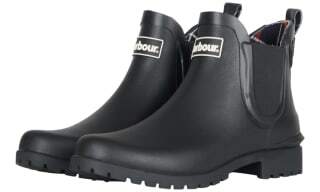 This range of ankle wellies from Hunter, Barbour, Joules and more features Chelsea Boot style wellies in a range of colours to suit your taste and lifestyle. With cleated soles for expert water and mud release, pull tabs to make it easy to pull your boots on and off, and bright whimsical designs, you’re sure to find something to love in this range. 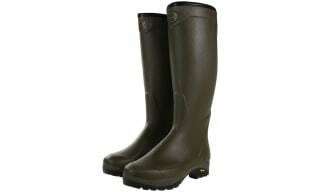 Dress your feet in the cosiest of wellington boots with our wonderful selection of fleece lined wellies. Warm and snuggly is an understatement, these fleece, carbon and wool lined wellington boots are so luxurious they'll leave you looking for excuses to wear them. Perfect for when the temperature drops, the luxurious linings of these wellington boots are simply so comfy. Our handpicked range from top brands including Hunter, Aigle and Le Chameau offers options natural wool linings and full zip fastenings, whilst our Hunter Carbon lined wellies offer a modern twist, ensuring your feet stay warm when it gets cold outside. Outdoor workers and dog walkers alike will really feel the benefit of an insulating lining, keeping cold feet and toes at bay whilst you go about your outdoor activities...no matter what the weather. The exterior construction boasts the same high standard construction of our other wellies, finished with exclusive trims and branding. Push the boundaries of the traditional welly and channel a modern vision with our collection of zip up wellies for men and women. Fusing the signature styling points of classic designs with the addition of a robust zip, these wellies are an innovative product - perfect for easy access that beats tugging and pulling at your pull-on boots in frustration. The zips are all industry approved - rigorously tested for their durability and robustness so you can rest assured that they can endure the rough and tumble of your outdoor expeditions - be that walking the dog, tackling a rough terrain or working outdoors in the harsh elements. Executed in the same high quality finish as all of our other wellington boots, every style is crafted to the highest standard utilising pioneered methods that have provided premium products for years from household names such as Hunter and Barbour. 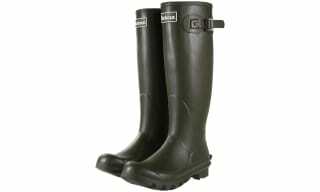 Discover the best wellies for gardening in our Gardening Wellington Boots department! Crafted from high quality natural rubber to ensure complete waterproofing, these gardening wellies will keep feet warm and dry while you spruce up your little piece of the world! For when you’re using a spade or for, our gardening wellies come complete with a reinforced sole to protect against any damage to your boots or feet when applying pressure to the tools. Our range of gardening wellies are cut to a mid calf length to keep water out while ensuring a comfortable bend in the leg when kneeling or crouching to get those pesky weeds! Create the most luxury of wears with our premium range of leather lined wellies, combining the wonderfully protective and robust nature of the classic wellington boot with the luxurious feel of leather. With exclusive brands such as Le Chameau and Hunter crafting irresistible designs that are perfect for keeping feet wonderfully comfortable and completely dry. With most designs boasting a full grain leather taken from only the finest sources, the lining of these wellies feels exceptionally cosy, creating a buffer between your feet and the robust structure of the rubber exterior...ensuring you are completely protected from the toes up. Whether working outdoors, walking the dog, tackling the country terrain or simply do a spot of gardening...our collection of leather lined wellies will set you up for the perfect wear, just add welly socks and off you go. We know the true outdoors person will have been searching high and low for a manure resistant wellington; well we can assure the search is over as you will find what you are looking for right here. Our manure resistant wellingtons have been built to last! 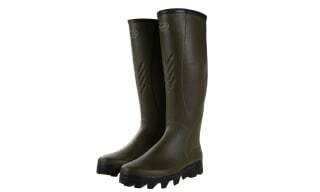 Over time standard wellingtons will start to erode after daily use in manure but with these wellingtons you no longer need to worry. 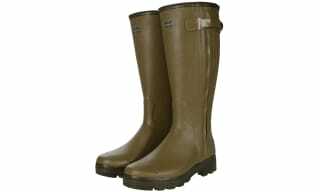 These wellingtons are a true investment for those who are enjoying farm life on a regular basis! 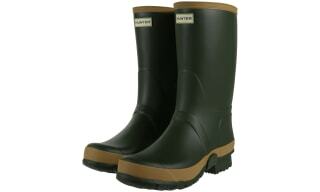 For comfort and reliability, explore our versatile range of short wellies. From legendary Brands including Aigle, Le Chameau, Hunter and Barbour, we are proud to offer a range of authentic, beautifully created short wellies that are ideal for everyday use. For a walk in the park, a trip to a festival or a trek around town in the colder months; our fantastic collection is sure to provide the comfort and reliability you need, without compromising your style. Weatherproof rubber textiles and luxury detailing complement the shorter length that's the perfect choice for when a standard or tall welly is not quite the look or feel that you're after. The perfect choice for gardening, our shorter length wellington boots are a convenient solution to a more stylish design that still boasts the necessary protective properties such as a heavy tread sole for the ultimate non-slip grip. 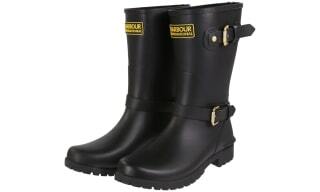 For those seeking additional space and comfort; our wide calf wellies are the ideal footwear choice. At Outdoor and Country we take great pride in providing a selection of wider calf fitting wellies, offering durability and complete comfort. Wide leg wellies are perfect for those who wish to wear extra thick socks or just someone who favours that little extra leg room. 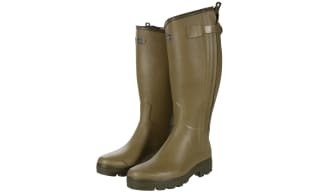 We all love a bargain and we all know that every penny really does count which is why at Outdoor and Country it gives us great pleasure to offer a fantastic range of discounted wellies right here and ready to order today. Whatever your footwear needs; the only thing we skimp on in our wellies sale is the price; from Hunter to Barbour, we have a breath taking range of quality wellies that will give you just what you want for less. 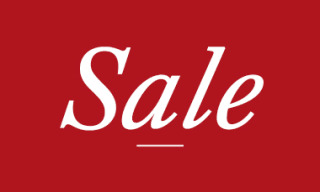 be sure to sign up to our email newsletter to receive updates about new sale offers and discounts.